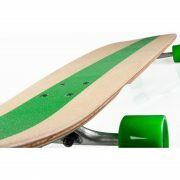 The KAHUNA, like the meaning of the word in Hawai’ian, is the “high priest” of longboards. 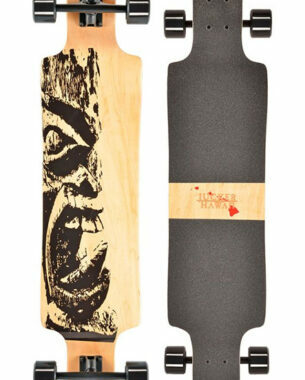 On the bottom you will notice the Tiki God as worshipped by the “Kahuna”. 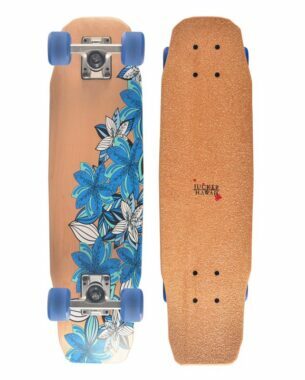 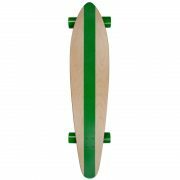 This is a great board for beginners, it is 42 Inches long (106.5cm) and has an ideal medium flex that allows it to run smoothly. 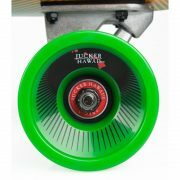 Carvers will appreciate the wheel-wells that prevent wheelbites when doing sharper turns. 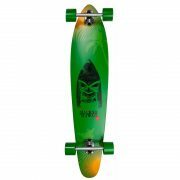 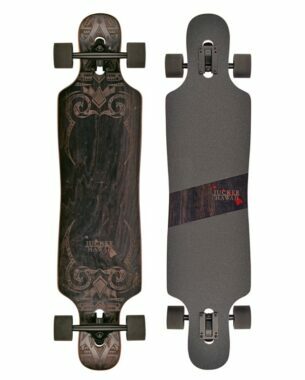 A good quality board at a competitive price for beginners and advanced riders. 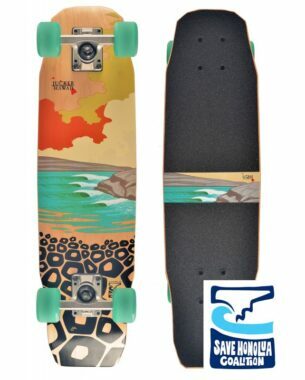 Maui and inter island customers order below. 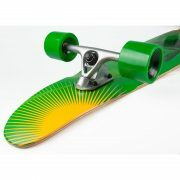 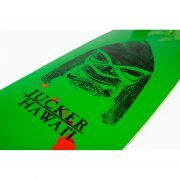 * All Jucker Hawaii longboards are fully assembled and ready to ride!